Animal Themed parties are in great demand for children’s parties. Our Kids animal party Edinburgh are the best in town. With over 15 years experience we’re Edinburghs biggest and best known animal handling team. We’ve provided thousands of kids parties throughout Scotland over the years and really know what the children love. Kids animal party Edinburgh is a different type of party to what you may expect. With over 100 animals at Animal Man’s Mini Zoo we have a great selection of cool creatures from all over the world that can come to your special day. 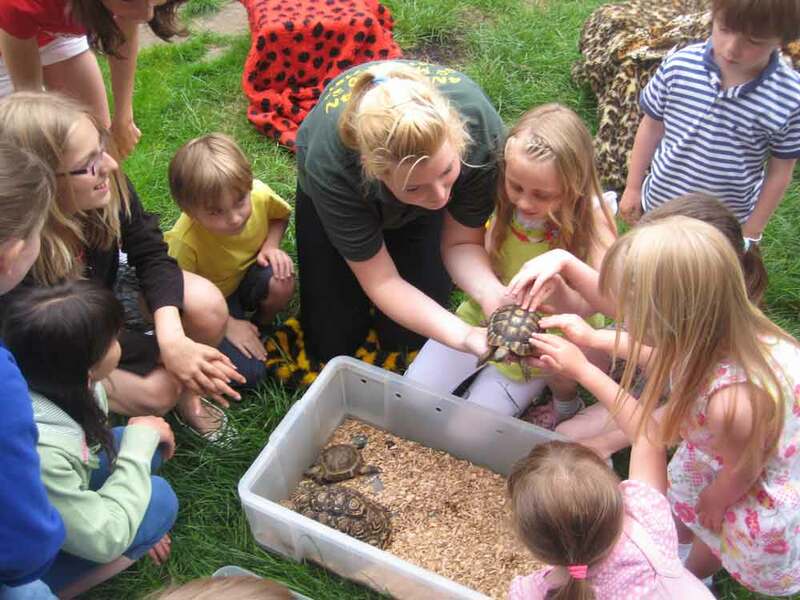 Our parties are geared towards every age group and we can cater for specific ages, meaning the children will have a great time, and love meeting all our animals, reptiles, beasties and birds. We offer a no stress party experience. We are one of the only animal handling businesses in Edinburgh that have extra staff who can cover your party in an emergency if we have a staff member sick or having car troubles. All too often we received calls from upset parents who have been let down by another entertainer, asking if we can cover at the last minute, often we can help them out of a tricky situation. Kids animal party Edinburgh is a sure fire way to have a great birthday party experience. We come to you, so you don’t need to worry about getting to us. Our animal handlers provide from a 30 minute party experience to 1 hour 30 minutes with 12 animals, and loads of activities. It’s a wonderful experience, packed with fun, education and laughs. To book a Kids animal party Edinburgh is really simple. Just email animalman@minizoo.org.uk or call 0141-649-7181 and we’ll check your dates and get you booked in for a Kids animal party Glasgow. It’s easy, straight forward, and very reasonably priced too. Parties range from £80 to £180 in Glasgow. For more information about Kids animal party Edinburgh please call Kevin, Kate or Lesley. Hey Christine, yes I think it would be better for her next year.